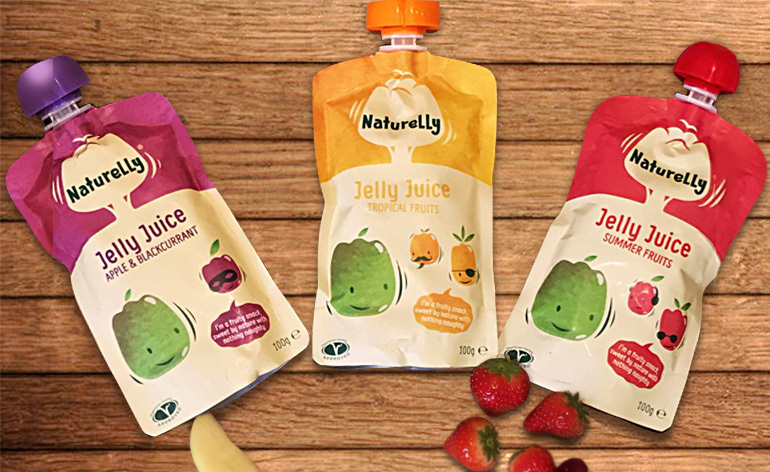 Naturelly are a gelatine-free jelly juice snack with no added sugars, sweeteners or anything naughty at all! They are naturally perfect for popping into your kids’ lunch boxes or even to have when you’re on the go. They are the fun, healthy and plant based alternative to giving your child a carton of sugary juice and have a unique texture that will get your little ones believing that they’re having a jelly. They aren’t just for children though – maybe I am a big kid but I certainly had jelly good fun and enjoyed every last squeeze! They have been trialled and tested by the children of the Naturelly family themselves and now people across the UK are loving them. We thought we’d put it to the test ourselves, have a thorough squeeze and see what all the delighted squeals are about. Summer Fruits – Apple Juice 60%, Water, Apple Puree 8%, Strawberry Juice 1%, Raspberry Juice 1%, Blackcurrant Juice 1%, Thickener: Gellan Gum, Natural flavouring, Acidity regulator: Malic Acid, Antioxidant: Vitamin C.
Nutrition: The Naturelly focus is on giving children a healthy snack. All the products are free from gelatine, gluten, wheat, dairy, nuts, and other allergens classed as ‘nasties’. They have no artificial colours, flavours or preservatives, added sugars or sweeteners! The thickener is gellan gum which is a natural dietary fibre found in lily plants and the juice itself is of course and as expected (these days) not from concentrate. These products are Vegetarian and Coeliac Society approved. Pressing the Naturelly pouch for the first time and letting my tongue feel the texture was certainly an experience. Just like they advertise it to be, it is very much both a jelly and a juice. This flavour hit me like a sweet summer surprise during the winter months and a burst of many flavours were picked up on. It’s deliciously sweet and leaves you with a refreshed fruity palette that tasting like you’ve recently taken a bite from an apple. Squeezing this one gives your nose a treat before you even taste the jelly juice! The blackcurrant is very prominent and seems to give it a sweet and sour sensation that the kids, adults and admittedly myself relish. Apple and Blackcurrant is always a good, solid combo. There is no other way to describe this than tantalizingly tropical. I felt as though I were sitting on a beach whilst slurping this one up! I immediately noticed the orange taste which was quickly pursued by a puissant pineapple. All the flavours blend seamlessly and it got me thinking about making a jelly-juice cocktail recipe – now there’s an idea! Goes to show these really aren’t just for the kids. You can buy a variety pack of 12 direct from the Naturelly for £13.08 – making them just over a pound per pouch at £1.09. Or if you would prefer to grab one fast you can get them from your nearest stockist for £1.19 each. Summary: At just 37 calories per pouch I will absolutely be treating myself to a Naturelly more regularly! Enjoyed at room temperature or super chilled, I was pleasantly surprised at how rich, refreshing, flavoursome and sweet the jelly juice is without any of the usual naughty stuff that still often creeps into many fruity snacks. The texture here was a completely new experience for me and one that I would recommend you to try for yourselves. 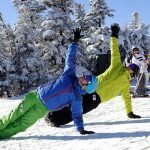 Naturelly have certainly changed the snacking game with this innovative, fun and healthy anytime option, you’ll be hooked from the first squeeze. I can`t wait to see what they have in store for 2017 perhaps coconut and banana -exotic cocktail requests anyone? Naturelly Jelly Juice can be bought from quality stockists such as Ocado, Boots, Wholefoods and Holland & Barrett. Or you can go direct to the Naturelly website and use the handy ‘where to find us’ store locator tool, I tried this and found that they were easily available. Be sure to check them out on Facebook, Twitter, Instagram and even YouTube!